Home Business Namibia: Africa’s Next Big Oil Frontier? Namibia: Africa’s Next Big Oil Frontier? 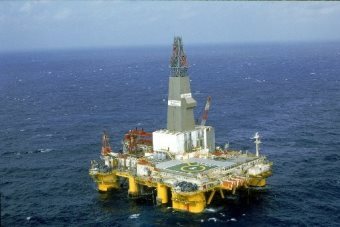 AFRICANGLOBE – Namibia has until recently been largely overlooked by the oil majors. A spate of farm-in agreements over the last six months suggests that this is changing. International oil companies are keen to secure a stake in the southern African country’s oil boom, should one materialise. Austria’s OMV and Murphy Oil Corporation from Arkansas are the latest companies to make their first foray into the Namibian oil and gas sector, buying 25 and 40 per cent, respectively, of Cowan Petroleum’s licence to explore two blocks off the Namibian coast. “Offshore Namibia offers great exploration potential as it is largely unexplored, yet it has the elements of an effective hydrocarbon system,” says Jaap Huijskes, OMV’s executive board member responsible for exploration and production. Galp Energia, BP and Repsol have also bought into offshore licences. “There will be others before the end of this year,” says Immanuel Mulunga, petroleum commissioner at Namibia’s ministry of mines and energy.The deal follows similar farm-in agreements by Royal Dutch Shell in December and Tullow Oil in September. “Recently there is clearly an uptick in activity. You see some of the bigger players moving in,” says Huijskes. Enthusiasm for oil exploration off Namibia’s coast stems from the idea that the southern African country once slotted together like a jigsaw piece with Brazil. Therefore, goes the theory, Namibia’s offshore basins are likely to be similar to two Brazilian basins – Santos and Campos – which have proved enormously rich in resources. Licensees are equally motivated to sell parts of their licences. The licence holders are typically small companies with limited finance capabilities and/or technical capacity. Most are in the early stages of exploration and need cash to carry out seismic surveys. “We are looking for a partner to participate in the seismic, because it’s expensive,” says Jack Keyes, chief executive of licence holder Frontier Resources. Since the beginning of the year, the company has approached others with the intention of farming out an interest in its blocks. There are four frontier basins of particular interest to explorers: Namibe, Walvis, Lüderitz and Orange. Seismic data is being collected at each. OMV and Murphy intend to conduct a 3D seismic programme in the Lüderitz basin in this quarter and Tullow is currently doing the same in the Walvis basin. Others are engaged in 2D surveys, the precursor to 3D seismic. Some explorers have or will soon drill wells. Spanish oil major Repsol bought a 44 per cent stake in offshore license 0010 which comprises three adjacent blocks in the Walvis basin in 2012. It aims to drill its first Namibian well alongside its partners, Arcadia Petroleum and Tower Resources, within the next couple of weeks. Oil was found in May last year at the Wingat-1 well in the Walvis Basin drilled by Brazil’s HRT and its partner GALP Energia, but not in commercial volumes. In its drilling results HRT said that it had found two well-developed oil source rocks and several small reservoirs saturated with oil. Hopeful that other areas would hold more oil the partners drilled two other wells later in the year, one nearby in the same basin and the other in the Orange Basin further south. Both wells turned out to be dry. HRT’s 2013 drilling results were both good and bad news for oil explorers in Namibia. On the one hand, it proved that there was oil in the Walvis basin. On the other, it’s no use if there isn’t enough oil to justify production costs. “The HRT well proved that the source rocks are oil prone,” says Repsol’s Lluch. “That’s good news for us.” If no oil is found at the well that Repsol is drilling, however, the company may change its approach. “There are several sizeable prospects in the licence but a negative result on this one would have a very negative impact on the rest,” says Lluch. In spite of the lack of a commercial find, hopes for an oil boom remain high. ECO Atlantic Oil & Gas estimates that there is 21.5 billion barrels of prospective oil in its four blocks alone. But it’s hard to be sure without drilling lots of wells. Very few have been drilled so far. “Really we’ve only drilled 13 wells in an offshore area that is the size of the North Sea or the Gulf of Mexico,” says Mulunga. “It was – and still is – a hugely untested frontier basin,” says Keyes at Frontier Resources. Exploration interest in Namibia is likely to continue to grow. Oil companies that came too late to the east African oil and gas boom don’t want to be left behind. Buying into a block in Tanzania or Mozambique has become very expensive. For now at least, IOCs can take a cheap punt on Namibia.